Scope 3 emissions can escalate a carbon footprint significantly if not monitored and tracked diligently. To provide a comprehensive analysis, Delta College chose to report additional Scope 3 categories, including solid waste, right from the start. Recycling was introduced in 1991 and our program quickly earned recognition as a statewide best practice in 1995. Early on, area waste haulers were not equipped to collect recyclables and sorting facilities were limited. Our fledgling program partnered with a local rehabilitation center for sorting and bundling. Later, as residential programs took hold, we piggybacked on municipal collections. Eventually, local material recovery centers were established. Having an established program has allowed us to refine our processes and provide guidelines to aid collection. As the eighth largest university in the United States and the third largest in the state of Florida, the University of South Florida (USF) Tampa serves approximately 40,000 students and 12,000 faculty and staff. 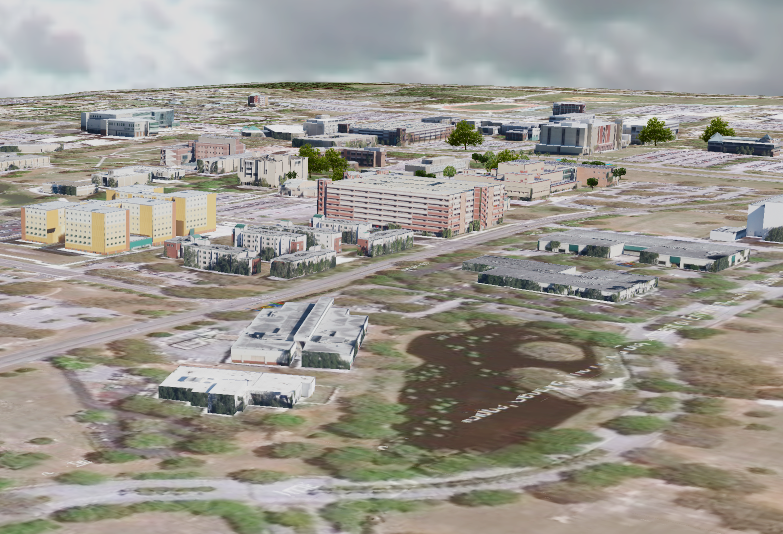 Like many other university campuses, the USF Tampa campus is a veritable miniature city. Situated in an urban setting, the campus contains 250 buildings on 1,561 acres and generates 266 million gallons of wastewater and 1,190 tons of solid waste, while requiring approximately 183 million kWhs of electricity and 740 million gallons of water a year to support its educational, research and social endeavors. Much like the arteries of an organism, everyday activities on campus are supported by a system of networks that transport goods, resources, and energy to or from their users. Twenty-eight miles of roads and 92 miles of sidewalks move students and faculty. The ACUPCC corporate sponsorship program has evolved from its initial inception in 2007 into a partnership of 27 sponsors that supports the ACUPCC in several ways. The program provides the opportunity to bring corporate expertise to support schools in implementing the ACUPCC. It provides funding that is critical to securing additional philanthropic support and member dues from signatory schools, and it sends a strong signal to signatory institutions that the private sector believes that pursuing climate neutrality and sustainability in education and operations is important for all of society, including business. If I had a wishlist of things I’d like to accomplish in my role at Second Nature, an update of the organization’s website would be # 1 on that list. The ACUPCC’s website is in pretty good shape — always room for improvement, of course, but the mission of the initiative is clear and resources for signatories are well-organized and accessible. We even do a pretty good job of keeping information up-to-date onCampus Green Builder, a web portal aimed at under-resourced schools for which the initial funding ended over a year ago. But when it comes to Second Nature’s website, it’s a classic case of the cobbler’s children having no shoes. Welcome to the June-July 2012 issue of the TCCPI Newsletter, an electronic update from the Tompkins County Climate Protection Initiative (TCCPI). Photo credit: MJM Creative Commons. Karim Beers took over direction of Get Your GreenBack Tompkins (GYGBT) last month and hit the ground running, making sure that the county’s energy saving campaign did not miss a beat. Karim just received his masters degree in regional planning at Cornell University and brings with him a wealth of experience in education, community development, and planning. He has coordinated community education programs in Columbia and Spain, and taught social studies in the Philadelphia public school system. As the campaign coordinator for GYGBT, Beers has laid out ambitious plans to inspire community members to take steps to save energy and money in the areas of food, building heat and lighting, transportation, and waster. Having started out with transportation as the focus in May, GYGBT declared June as “Waste Reduction Month” and the “Step of the Month” is to Buy Used. 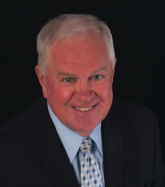 We recommend this recent article originally posted on the Huffington Post, by Dr. Scott Miller, president of Bethany College and signatory to the ACUPCC. With the current election year, among other topics capturing headlines and media analysis, it's sometimes challenging for other newsworthy stories to receive the coverage they deserve. A prominent example is higher education. Aside from high-profile scandals, spectacular jumps in tuition costs or significant research breakthroughs, much of the news about colleges and universities escapes the attention of the mainstream media. Not only is this news generally good, but it directly impacts families and their daily lives all across America. Please link to the Huffington Post for the full article. Welcome to the April – May 2012 issue of the TCCPI Newsletter, an electronic update from the Tompkins County Climate Protection Initiative (TCCPI). Young people from around New York state headed to the Capitol at the end of April to call on Governor Andrew Cuomo to ban hydraulic fracturing for natural gas and lead the state toward a clean energy economy. The Green Umbrella, a network of high school and college students fighting climate change, held a conference in Albany over the weekend of April 27-29. Speakers at Power Shift NY included Bill McKibben, Josh Fox, Sandra Steingraber, and Dominic Frongillo. On Monday morning, the students gathered on the banks of the Hudson River at Albany’s Corning Preserve and then marched to the Capitol. Along the way, they engaged in some attention-grabbing street theater, including a mock “wedding” between gas companies and politicians. Green Umbrella students at Power Shift NY in Albany on April 30. Photo credit: Energy Action Coalition. Last Friday, I had the opportunity to participate on a panel at the 2nd Annual Slow Living Summit in Brattleboro, VT. The Summit program was broken into multiple tracks, covering a range of topics including community supported agriculture, media & journalism, sustainable investing & finance, community building, renewable energy, and education to name a few. For a detailed description of the program click here. The ACUPCC’s 5th year celebration also marks an important stage in the ongoing, unprecedented efforts of the network to publicly report on activities to eliminate operational greenhouse gas (GHG) emissions and to provide the education, research, and community engagement to enable the rest of society to do the same. Because of these tremendous efforts the ACUPCC Reporting System now includes 1585 GHG reports, 465 Climate Action Plans, and 240 Progress Reports on the Climate Action Plan! Public reporting by ACUPCC signatories demonstrates transparency and integrity for each institution’s commitment and contributes to the collective learning of the network and general public. The ACUPCC Reporting System also allows signatories to track, assess, and communicate progress to their campus community and beyond, demonstrating to prospective students, foundations, and potential private sector partners that their institution is serious and transparent about its commitment to climate change and sustainability. The individual efforts taken together are demonstrating impressive results and the growing impact of the network to prepare graduates and provide the necessary solutions for a sustainable future. The National Association of College & University Business Officers (NACUBO), Second Nature and the ACUPCC will release a policy brief report at the ACUPCC Climate Leadership Summit that explores how the federal government can develop and enhance energy efficiency and renewable energy incentives and investments specific to the nonprofit higher education sector. The higher education sector is well positioned to lead the nation in implementing deep energy efficiency projects and renewable energy technologies. Colleges and universities own and manage thousands of buildings, heat and cool millions of square feet of space, and in many instances, operate their own thermal and electric power generation facilities. According to the latest reports from ACUPCC schools, 104 institutions have secured $195.7 million in outside funding to support their commitment to eliminate their operational greenhouse gas emissions and 158 institutions have implemented energy efficiency and renewable energy projects that have generated savings of $104 million. However, for many colleges and universities financing such projects can be challenging because current government incentives are most often designed for business and industry and not for the tax-exempt sector. Preparedness. Opportunity. Innovation. These words capture the essence of higher education’s critical role in creating a healthy, just and sustainable society. Leaders in higher education are standing up to the greatest challenge of our time by providing education for sustainability and preparing graduates to create a sustainable economy. They are providing the opportunity for more students to access higher education by reigning in costs through energy efficiency and smart building. And by demonstrating sustainability solutions on campus, through research, and in partnership with local communities, they are driving the innovation needed for a true and lasting economic recovery. Since its founding in 1861, Luther College has remained true to its mission by preparing graduates to respond to a changing world. As we look ahead we see global environmental problems, resource scarcity, and climate change threatening the health of the planet. In response to these threats Luther College’s 2007 Sesquicentennial Strategic Plan pushes the college to seek sustainability through greater operational efficiencies while preparing graduates with the skills, knowledge, and experience to lead society toward a more sustainable future. In order to “make sustainability a part of every student’s learning experience,” a clearly articulated conceptual framework for sustainability education is necessary so that faculty from disciplines across the campus can discover how sustainability connects to their work and can enrich their teaching. 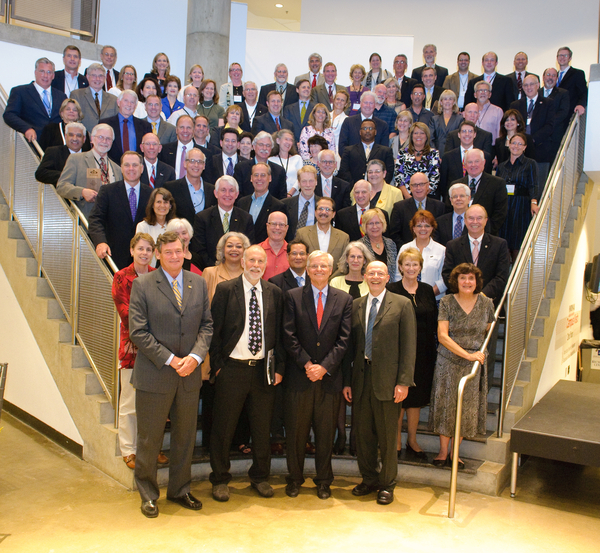 Recipients of the Third Annual Second Nature Climate Leadership Awards were recognized for their efforts during an awards ceremony at the ACUPCC Climate Leadership Summit in Washington, DC on June 21st. This year’s Climate Leadership Awards were created, designed, and fabricated by students from Pratt Institute’sCenter for Sustainable Design Studies (CSDS). The awards were created using reclaimed redwood from New York City water towers. The surface of the wood was beautifully and uniformly weathered, and each award included a distinctive waterline running through the grain of each piece, providing a unique and one of a kind finish. The students felt that the material and finished product honored the intent of the awards by illustrating the unique and innovative strategies the recipients are taking to work toward climate neutrality. 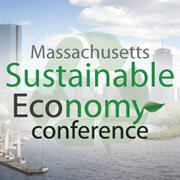 On April 30, 2012, the 3rd Annual Massachusetts Sustainable Economy Conference was presented byIntegrative Sustainability & Environmental Solutions(ISES) in Boston, MA. ISES, an environmental consulting initiative led by Crystal Johnson.The conference leveraged a variety of discussions on the community and business practices that cultivate a sustainable economy. Higher education plays a critical role in this conversation as the educational driver which creates meaningful programs for career preparedness, community innovation, and participatory citizenship in order to prepare students to create a sustainable future. William Paterson University is proud to provide a positive example of climate leadership for our 11,500 students while leading by example for our surrounding community. The University’s campus-wide solar panel installation is a dramatic and visible sign of our commitment, ranking among the top ten largest installations in the United States. William Paterson has integrated sustainability across the curriculum, with a new bachelor’s degree in environmental sustainability. The degree unites tangible study and research, and includes courses in environmental science, biology, chemistry, mathematics, law, political science, and economics. Graduates will be prepared with the interdisciplinary skills needed for careers in sustainability across multiple job sectors. In creating our video, we took a student-focused “day in the life” format as a creative and artistic way to highlight many of our efforts and activities in sustainability.